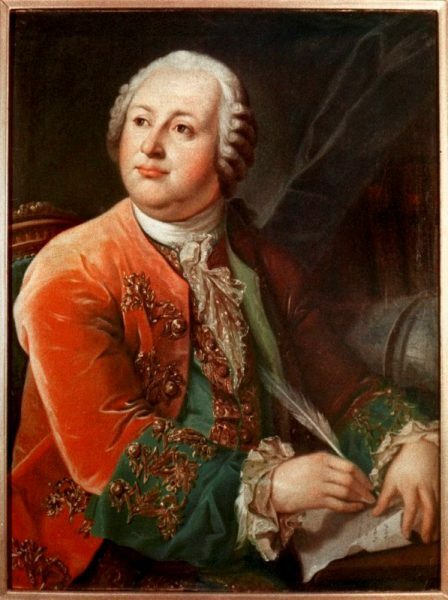 On November 19, 1711, Russian polymath, scientist and writer Mikhail Lomonosov was born. Lomonosov made important contributions to literature, education, and science. 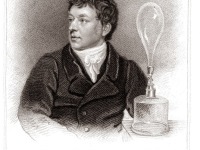 Among his discoveries were the atmosphere of Venus and the Law of Mass Conservation in chemical reactions. His spheres of science were natural science, chemistry, physics, mineralogy, history, art, philology, optical devices and others. Lomonosov was also a poet and influenced the formation of the modern Russian literary language. Mikhail Lomonosov was born to a peasant family in the far north of Russia. Already as a boy he learned navigation and meteorology, but also acquired basic knowledge of Russian grammar. His curiosity for knowledge was so strong that he left his family against his father’s will and walked 1000 kilometres to Moscow to begin his studies at the Spiritual Academy. 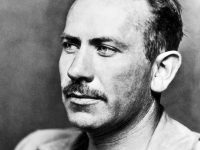 It is believed that he falsly claimed to be a priest’s son in order to be admitted into the Slavic Greek Latin Academy. However, Lomonosov managed to complete a twelve-year study course in only five years and graduated at the top of his class. In 1736 he was awarded a scholarship to St. Petersburg Academy and after excellent results he was rewarded with a two-year grant to study abroad at the University of Marburg, in Germany where Lomonosov became a student of Christian Wolff. There, he studied philosophy, mathematics, chemistry and physics, and from 1739 to 1740 in continued his studies in the Freiberg laboratory of Johann Friedrich Henckel with mineralogy, mining and metallurgy. 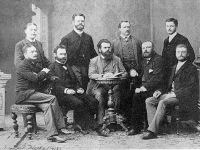 In Freiberg he also worked intensively on literature. In 1740 he returned to Marburg, where he married the daughter of his landlady. In 1741 he travelled to St. Petersburg to write his doctoral thesis with Georg Wolfgang Krafft, where he was named adjutant to the Russian Academy of Science in the physics department. Two years later his wife Elisabeth-Christina followed him with their child. From 1745 he taught as a professor of chemistry in a teaching and research laboratory established by him, but was also very productive as a poet. In 1750 Empress Elisabeth and the poet Trediakowski asked him to write plays for the new National Theatre, which he did successfully. In 1754/1755, with the active support of the Empress’s favourite, Ivan Ivanovich Shuvalov, he took part in the foundation of the Moscow State University, the Lomonosov University named after him. Mikhail Lomonosov was elected foreign member of the Royal Swedish Academy of Sciences and in 1764 he was appointed to the position of secretary of state. Lomonosov is regarded as a universal scholar and founder of Russian science, in particular as a co-founder of the sciences of metallurgy, geology and meteorology, geography and cartography, but also of history in Russia. At the time, science in Russia was still the domain of foreign experts, especially Germans and French. Alexander Pushkin said of Lomonosov that he had not only created Russia’s first university, but that he himself had been an entire university. In the field of chemistry, Lomonosov became the first person to record the freezing of mercury. 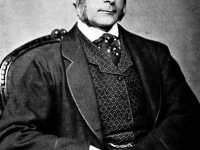 He further published a catalogue of over 3,000 minerals. omonosov was also the first to explain the fatal nature of the icebergs to ships in 1750: since the density of the ice is 0.92 g/cm³ (seawater density 1.025 g/cm³), 90 percent of the volume of the icebergs must be below the water surface. In 1763 he wrote the memorandum “Brief Description of Various Research Trips on the North Seas and Indication of a Possible Transit on the Siberian Ocean to East India“, he gave precise instructions for the equipment and execution of an expedition to explore this sea route, which in his opinion should lead directly over the North Pole. He further got close to the theory of continental drift and theoretically predicted the existence of Antarctica. In the field of Astronomy, Lomonosov further became the first person to hypothesize the existence of an atmosphere on Venus based on his observation of the transit of Venus of 1761. He further developed an improved design of a reflecting telescope to the Russian Academy of Sciences forum. However, his invention was not published until 1827, so this type of telescope has become associated with a similar design by William Herschel, the Herschelian telescope. While still a student in Freiberg, Lomonosov developed a new metre for his poetry based on the ideas of the Russian poet Trediakowsky. He propagated Russian as the language of instruction and in 1757 wrote a Russian grammar which fundamentally reformed the Russian written language. Michail Wassiljewitsch Lomonossow died on April 15, 1765, in St Petersburg at age 54. He was undoubtedly the most important innovator of education in the Russian Empire, working according to the ideas of Tsar Peter the Great; at the same time he was the first Russian scientist of world rank. A lunar crater was named after Lomonosov as well as a crater on Mars and the asteroid 1379 Lomonosowa. In 1948, the underwater Lomonosov Ridge in the Arctic Ocean was named in his honor. Moscow State University was renamed ‘’M. V. Lomonosov Moscow State University’’ in his honor in 1940.